There are plenty of foods that are typically classified as “man food” that I love and eat on a regular biases. Wings. Scratch that Buffalo flavored anything. Pizza. Cheeseburgers. Steak. Ribs. But then I get huge cravings for things like salads. Quiche. Angel food cake. If Eric loved every salad I put in front of him this week. And even asked for more. But there are certainly foods that are and aren’t typically served at certain events. I mean you would never find sangria at a bachelor party or hot dogs at a bridal shower. But there is one thing that I always see at things like baby showers, bridal showers, and oh say spas. 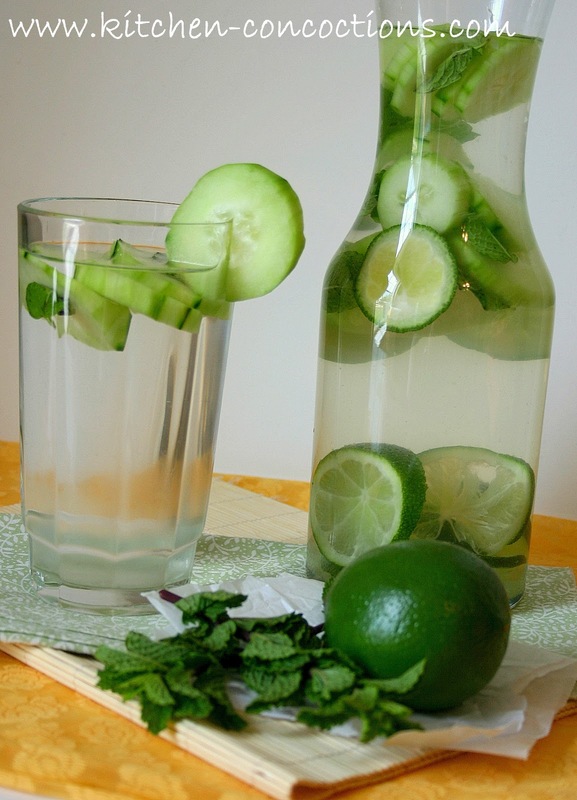 Most commonly lemon or cucumber water. Gesh! He just doesn’t get it! Sometimes you just need something, well fancy! 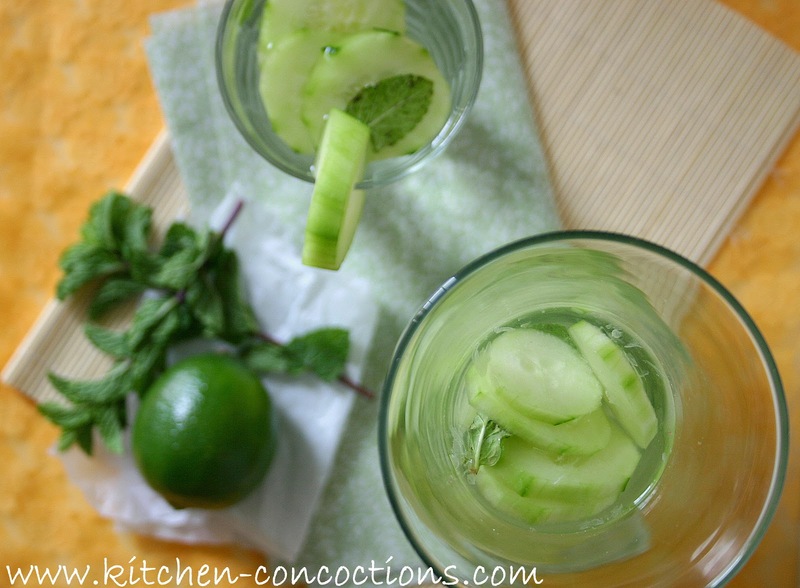 For some cucumber water is an acquired taste. I find it refreshing. 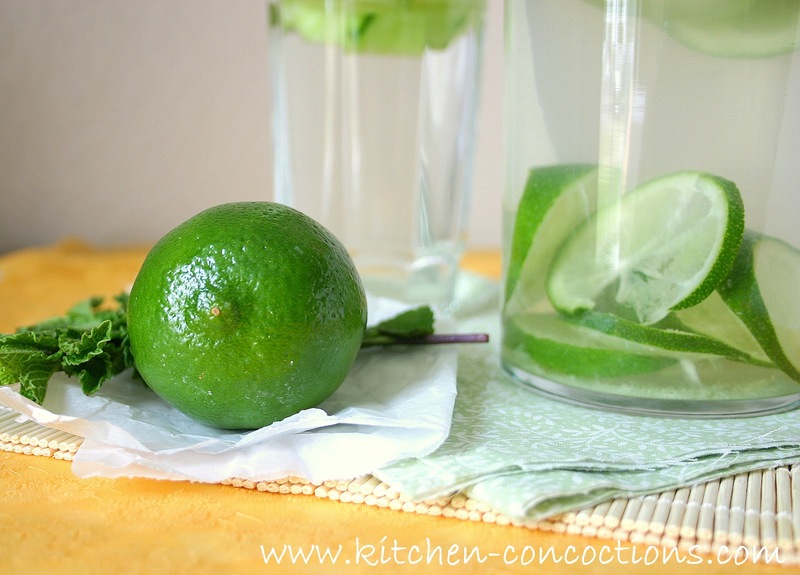 I love the kicked up version below with added flavor from mint and limes. 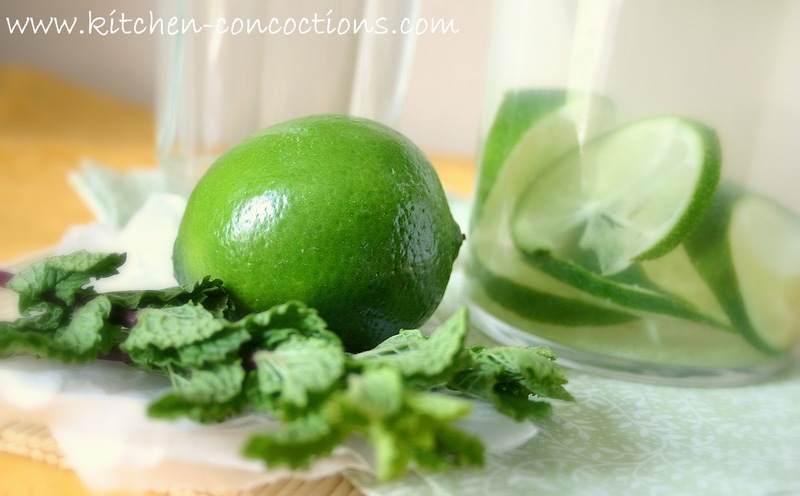 This is almost like a mojito, you know minus the rum. Mix together and chill for 1-2 hours or overnight for flavors to blend. Will keep in the refrigerator for 2-3 days.